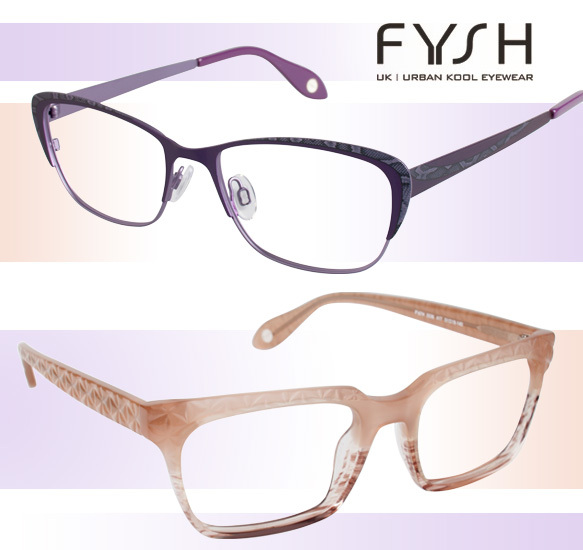 Modestly cool details take center stage when it comes to the latest FYSH specs! Funky accents—from subtle two-toned colorations and hints of snakeskin print, to geometric-inspired textured temples and layered effects, to glossy and metallic finishes—run the gamut, adding fun elements to these chunky rectangular silhouettes and sleek cat-eyes. Feminine hues, like soft peach and alluring purple, bring even more fabulous flair to these glasses! Gal pals, love what you see? Get even more deets here.